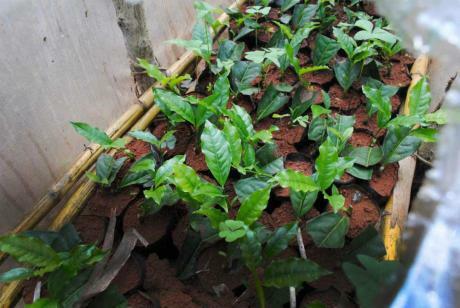 Nyambya Tea Company has extensive nurseries to raise new plants. 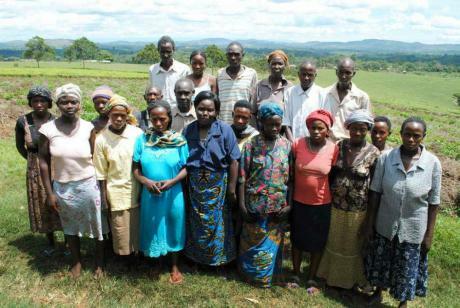 These provide planting material for the Estate and are also available for supply to neighbouring farmers financed through Aid Development programmes extended by donor countries to Uganda. 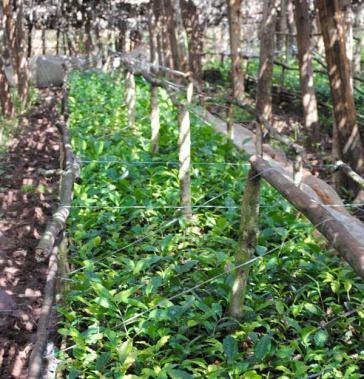 We propagate tea plants by taking leaf cuttings from our mother bushes, which are direct descendents of the cloned varieties developed in Kenya and Uganda. Cuttings are taken and planted into polysleeves which have been prepared, filled and stacked the day before. The plantlets will remain in the nursery beds for at least 12 months before they are ready for field planting. The Estate has been contracted to raise plantlets of tea cuttings for the Tea Smallholder programme for distribution to farmers. 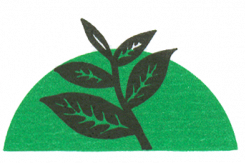 We are currently supplying about 500,000 plantlets of tea per annum and also support other nurseries with cuttings from our mother bushes to enable nurseries in other areas to also raise plantlets as well.